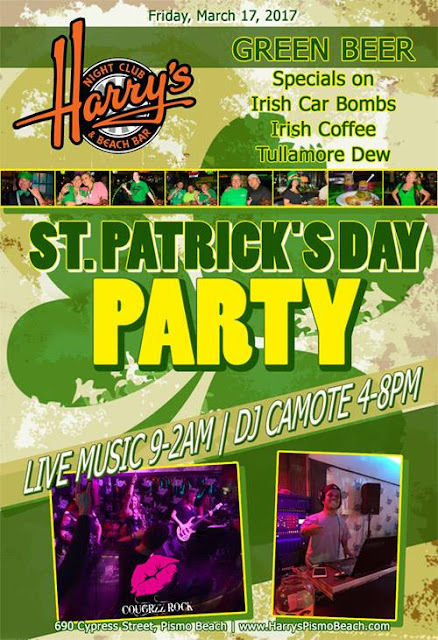 Harry's Night Club & Beach Bar: St. Patrick's Day Party in Pismo Beach! We will be serving Shepard's Pie, offering Drink Specials & Green Beer, DJ Camote will be here in the afternoon, and from 9pm to close we have Live Music by Cougrzz Rock! Dress up and come down and join us for the best St. Patty's Party on the Central Coast!